Dorian Mintzer, Retirement Speaker, typically presents at a number of local. national, and international events and conferences each year. 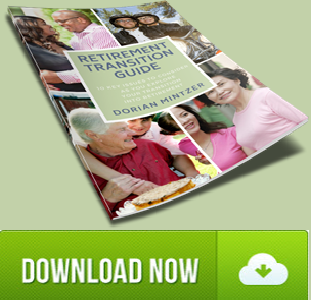 On this page, you will find her current and past presentations as a retirement speaker. Webinar with OLLI Program at the University of Georgia: “Psychological Well-Being in Retirement: Embracing your Bonus Years–A Time to Learn, Grow and Evolve,” April 3, 2019. Retirement Resource Center Webinar – “The Couple’s Retirement Puzzle: Helping Couples Navigate Their Retirement Transition: Challenges and Opportunities,” February 21, 2019. Mt. Auburn Cemetery, Cambridge, MA. 6 -9:00 pm, Panel Discussion: “End of Life Issues,” October 16, 2018. Retirement Coaches Conference, Detroit, MI: “Working with Couples During their Retirement Transition,” September 28, 2018. Temple Beth David, Canton, MA, “Strategies for Dealing with Stress,” April 29, 2018. 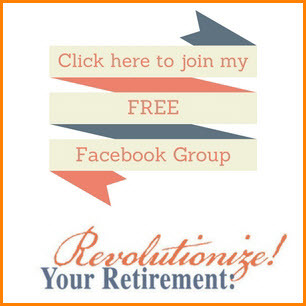 Natick Senior Community Centre, Natick, MA “Revolutionize Your Retirement,” April 23, 2018. Positive Aging Conference, Philadelphia, PA. Presentation with Kendall Dudley: “Waking to your Next Self Through Enhanced Awareness,” April 4, 2018. Job Seekers Networking Meeting, Wilmington, MA. “Boomers and Beyond: Looking for Work in the 21st Century,” November 27, 2017. Temple Beth David, Canton, MA. “Embrace your Bonus Years: A Time to Grow, Learn and Evolve,” November 5, 2017. Mt. Auburn Cemetary, Cambridge, MA.”Strategies for Having Important Second Half of Life Conversations,” October 20, 2017. Conference for Boomers, Portland, ME. 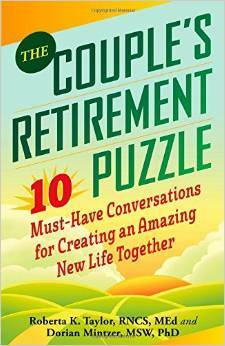 “10 Must-Have Conversations Before or During your Retirement Transition,” October 14th, 2017. Job Seekers Networking Meeting, Westford, MA. “Boomers and Beyond: Looking for Work in the 21st Century,” October 4, 2017. Job Seekers Network Meeting, Tewksbury, MA: “Boomers and Beyond: Looking for Work in the 21st Century,” May 22, 2017. Elder Forum: The Sage-ing Online Cafe (Part of the Sage-ing International 2017 Webinar Series. ): “Embracing your Bonus Years–A Time to Grow, Learn and Evolve–and Become a Conscious Elder,” March 29, 2017. Presentation/Discussion The Boston Club Affinity Group (closed group), Jan. 17, 2017. TedX, New Bedford, MA, “Embracing Your Bonus Years,” November 4, 2016. Sage-ing International Conference, Colorado: “Health, Relationships, and Sexuality” (presentation with Lila Terry), October 21, 2016. Mt. Auburn Cemetery, Cambridge, MA: Panel: “How to Have Important End of Life Conversations,” October 18, 2016. Tewksbury Job Seekers Network Meeting: “Boomers and Beyond: Looking for Work in the 21st Century,” September 19, 2016. The Society of Certified Senior Advisers and Positive Aging Conference, Washington D.C., “Age as a Mindset: Managing Job Search Attitudes for Older Workers” (presentation with Renee Lee Rosenberg), August 26, 2016. Aging in America Conference, Washington, D.C., “Age is a Mindset,” March 23, 2016. Mt. Auburn Cemetery Panel, “How to Have Important End of Life Conversations,” October 6, 2015. Ballentine Partners, LLC, “Strategies for Important Conversations,” August 18, 2015. Natick Community Center: Senior Program, “Strategies for the Second Half of Life,” January 14, 2015. Jewish Community Campus, West Nyack, NY, “The Couple’s Retirement Puzzle,” November 18, 2014. Retreat for Women with Sydney Rice, “Crossing the Great Divide,” April 26-27, 2014. The Life Planning Network, New England, “Panel: Reflections of the Positive Aging Conference,” April 25, 2014. Mt. Auburn Cemetery, “Panel on Important Conversations,” April 23, 2014. 92nd Street Y, Tribeca, co-sponsored by the Y and The Transition Network, New York, NY, “Couple’s Workshop,” March 1, 2013. New Directions, The Life Portfolio Company, Boston, MA, “Couple’s Workshop,” February 13, 2013. 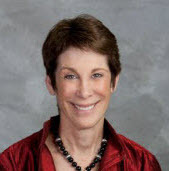 The Sudden Money Institute, Webcasts with Experts, “The Importance of End of Life Conversations, ” January 16, 2013. Waddell and Reed, Wealth Management Firm, “Couples Workshop,” December 4, 2012. Mentor Coach Alliance for Positive Psychology, Teleclass, Nov 15, 2012. Merrill Lynch, The Retirement Symposium, Keynote, Dallas, TX, November 8, 2012. Cambridge Health Alliance, Harvard Medical School, “Treating Couples course,” November 3, 2012.
International Sage-ing Conference, Lake Junaluska, NC, October 11 -14, 2012. The Chilton Club, Boston, MA, Retirement Panel with Financial Planner and Estate Attorney, October 4, 2012. 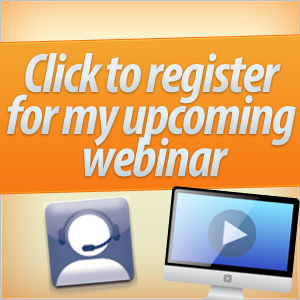 Chesapeake LPN Chapter, Webinar, September 12, 2012. Congregation Temple Beth El, Bethesda, MD, Couple’s Workshop, September 9, 2012. JCC, Newton, MA at Temple Avodah, “Explorations for Seniors”, August 2, 2012. Kris Miller, Pre-Retirement Series (telecast), May 17, 2012. Turner Free Library,2 North Main Street, Randolph, MA, “The Couples Retirement Puzzle,” May 17, 2012. New England Mobile Book Fair, Author’s Talk, and Book Signing, May 16, 2012. Valley Works Career Center, “What’s New in Your Career Path?”, Lawrence, MA, May 7, 2012. Retirement Options, Couples and Retirement, May 2, 2012. Mount Auburn Cemetery,” Keeping Life in Order as You Plan for End-of-Life Issues,” Cambridge, MA, April 8, 2012. National Association of Social Workers, Boston, MA, March 30, 2012. Boston TV “Don’t Retire Inspire,” March 27, 2012. WIND/South: Networking for Professionals in Career Transition, Canton, MA: “Here Come the Boomers: “New Possibilities for Positive, Creative and “Successful” Aging,” March 8, 2012. Financial Planning Association of Orange County, CA, Quarterly Meeting, Keynote presentation: “Retirement Planning for Financial Advisors: The Changing Face of Retirement,” February 15, 2012. WIND/North: Networking for Professionals in Career Transition, Wilmington, MA:” Here Come the Boomers: New Possibilities for Positive, Creative and “Successful” Aging, Jan 18, 2012. American Society on Aging, San Francisco, 2011. Discovering What’s Next, Newton, MA. 2010, 2011. Life Planning Network, New England, Weston, MA. 2011. Margolis and Bloom, Esq. Lunch Seminar, Boston, MA., 2011. Mt. Auburn Cemetery, Cambridge, MA. 2011. New Directions, The Life Portfolio Company, Boston, MA. 2011. Northern California Life Planning Network, Oakland 2011. Positive Aging Conference, St. Petersburg, Fl. 2009, Los Angeles, CA 2011. Temple Beth Elohim, Wellesley, MA 2011. Tribeca 92nd Street Y and the Transition Network, New York, 2011.